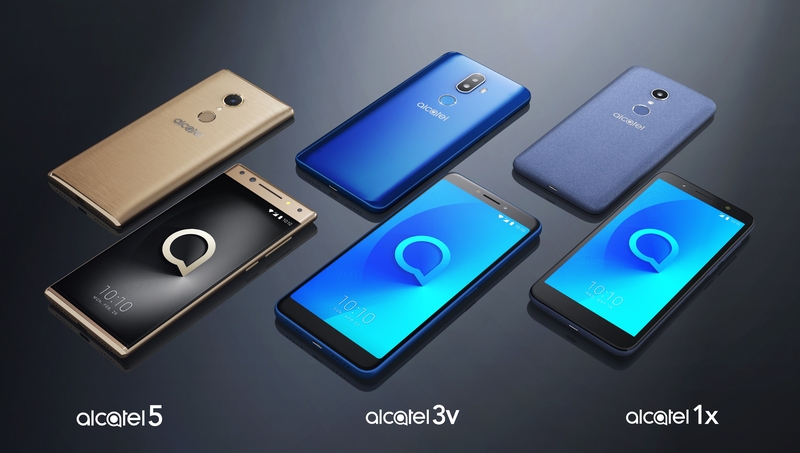 Recently we have published that Alcatel, TCL’s sub brand flagship smartphone has Alcatel 5 has leaked with its image. Now Alcatel has teased 1,3, 5 series smartphones and each will come under different cost category. Series 1 will come under $100, 3 under $300 and 5 under $300 respectively. All the smartphones will come with 18:9 ratio display and fingerprint sensor placed at the back of the phone and comes with face unlock support. The Alcatel 5 Series is designed to deliver the best possible features consumers want at a cost that’s much lower than comparable flagships. This will include offering features like face unlock, 18:9 full view displays and more. With the Alcatel 5 series, users will enjoy fantastic imaging, a cinema-style viewing experience and large battery for a full day’s use. The Alcatel 3 Series provides users with an optimal blend of the latest trendy features bringing dual cameras, beautiful design and 18:9 full view displays to more consumers without breaking the bank. This series will feature a variety of devices and will include products with large-screen, high-resolution displays. The Alcatel 1 Series brings an amazing smartphone experience to everybody at the most affordable price point. It offers universal access to unibody hardware with stylish design and premium materials, as well as higher-end features like 18:9 full view displays and face unlocking.